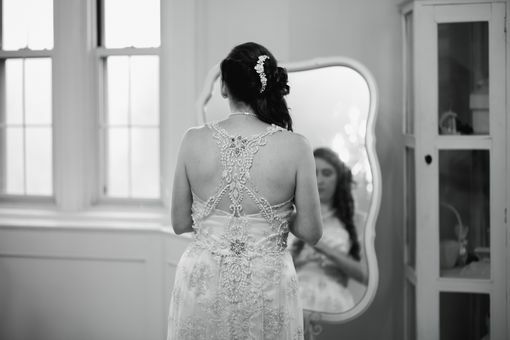 This stunning Vintage Inspired Wedding Dress will send you back in time. 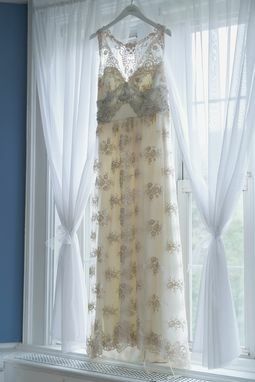 Underlay is made with soft Silk Charmuese. 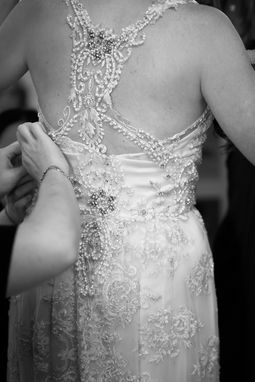 Overlay features a beaded Vintage Inspired Gold Lace. 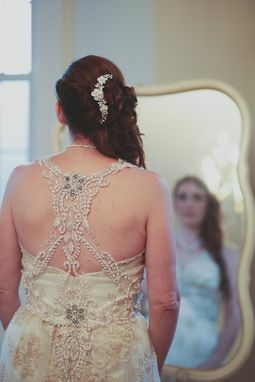 The back beaded design is truly special. If you don't like this design, please ask me about having me create a custom designed gown just for you. 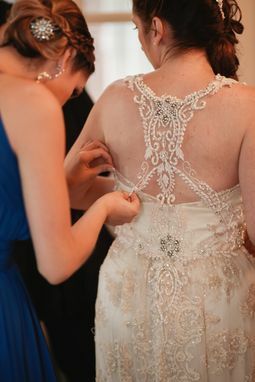 Simply send me a convo with your request including a photo or sketch of your dream gown, along with any other special requests. I will also need your approximate size and wedding date. I will then reply with a price quote for you.